At least 55 people have been killed and 372 others injured by two powerful blasts in the Syrian capital on Thursday morning. The car bombs detonated near a military intelligence building. The blasts happened in quick succession during the morning rush hour, just as employees were arriving to work. An initial small explosion was followed by a much larger blast allegedly targeted at paramedics and security forces arriving at the scene, AP reports. The explosion left two craters – three and six meters wide – in front of the military compound. 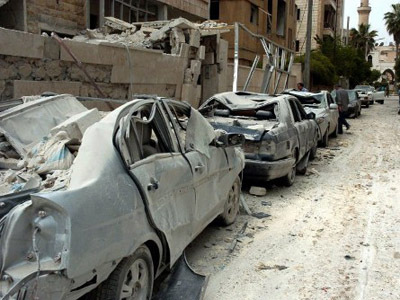 The two cars were stuffed with more than 1,000 kilograms of explosives, said Syrian Foreign Ministry spokesman Jihad Makdissi. Makdissi also said that in addition to 55 dead – some of them already identified – and 372 injured, there were at least 15 sets of unidentified remains, implying that the death toll was likely to rise. 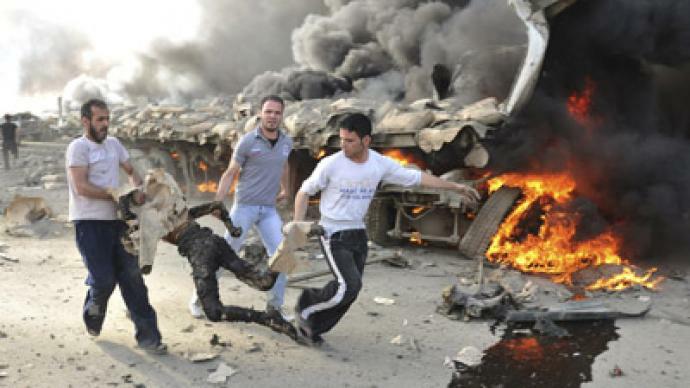 Syrian authorities have urged people to donate blood for the injured. The blasts were branded a terrorist attack by state television and the authorities, but there has been no claim of responsibility yet. The UN Security Council has issued a statement condemning "in the strongest terms the terrorist attacks that occurred in Damascus, Syria, on 10 May." The 15-member body said it was also calling on all parties in Syria to immediately and comprehensibly implement the six-point peace plan proposed by UN-Arab League envoy Kofi Annan. Earlier in the day, UN observers inspected the site of the bombing. The Obama administration has also slammed the violence. Defense Secretary Leon Panetta linked the blasts with "an al-Qaeda presence in Syria," but had no information about who was responsible for the twin attack. At the same time, State Department spokeswoman Victoria Nuland has accused Assad's regime of creating "
this climate of violence that is causing not only folks to take up arms in defense, but is also providing an environment, potentially, for mischief to be made by others who don't favor peace in Syria. A number of bomb attacks have happened in Syria since the UN-brokered ceasefire between loyalists troops and armed opposition forces was announced in mid-April. The major latest attack occurred on April 27, when a bomber wearing a suicide vest set off an explosion near members of the security forces. The blast killed at least nine people and wounded 26. On Wednesday, a roadside bomb went off in the country’s south-west, just seconds after the UN observer team head passed by with his convoy. UN Secretary General Ban Ki-moon warned that such incidents cast doubt over the observer mission’s future. Some foreign-based opposition groups have routinely been blaming the Bashar al-Assad government for masterminding these terrorist attacks to discredit the opposition. Damascus denies such allegations, saying radical militant groups funded, armed and trained by countries hostile to Syria are behind the violence. Russian Foreign Minister Sergey Lavrov does not rule out the possibility of outside forces being involved in masterminding the Damascus attacks, either. "At least some of our partners are doing some practical things aimed at exploding the situation [in Syria] both in a direct and indirect sense of the word. I mean the explosions you have mentioned," Lavrov commented on the blasts during a press conference in Beijing. 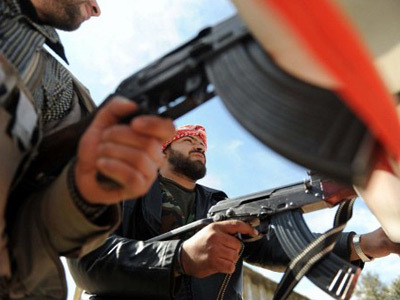 Qatar and Saudi Arabia have admitted that they support Syrian opposition financially. It is believed that Turkey is turning a blind eye on armed groups using Syrian refugee camps on Turkish territory near the border to rest and regroup before moving into Syria. It seems armed opposition groups, which failed to take control over any part of the country and turn it into their base of operation, are now resorting to guerilla tactics to attack the government. A ceasefire and political solution to the conflict are not in their interest, because they want nothing short of a total collapse of the Assad regime. The Syrian government is seeking resolution of the violent crisis, which has been ravaging the country for 15 months, through political reform. 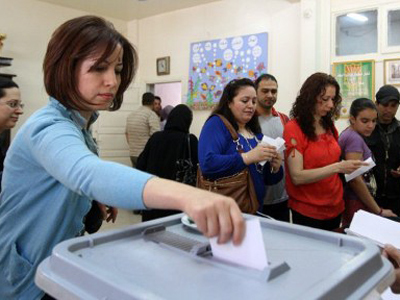 This week it held a parliamentary election, the first ballot in decades involving competing political parties. ­Both the UN Secretary General Ban Ki-moon and special envoy Kofi Annan called the level of violence in Syria “unacceptable” this week. Recent bombings and escalating violence put the future of the UN observer mission under threat. Currently on the ground there are 70 UN observers monitoring the peace in Syria, and the group is expected to grow into a full 300-strong mission by the end of the month. Meanwhile, the director of Conflicts Forum NGO, Alastair Crooke, believes the UN is not rushing to place its observers in Syria, because a group of militarily-experienced monitors could accidentally get to the bottom of what is happening there. RT:Many Syrians are saying that the presence of UN observers helps to reduce the violence. So, if that is the case, why is the world body taking its sweet time to deploy all 300 observers? Alastair Crooke: I think it is quite clear that the UN at the highest level is not rushing to place the observers there. And I think that is part of the political agenda by some in the West, who really do not want to see this peace process work. Who would prefer to see it fail and then return the whole issue to the Security Council so they can have another go in bringing down the Assad government. RT:With the government and the rebels blaming each other for the violence, how are the UN observers supposed to make sense of what is actually happening? AC: Well I think that is precisely one of the purposes of having monitors in conflict. And I’ve been a part of this myself in the Palestinian case. It does make a difference actually to have people on the ground to have witnesses, because one of the things that is so difficult in the whole story of Syria has been these disperate narratives, the very different narratives that have come out. On the one hand one people claim this, on the other hand somebody else says something different. So, having militarily-experienced witnesses on the ground who can tell what is a mortar shell and what is a burning tire being fired on a top of the roof more than an ordinary journalist can does help at least bring the thing and maybe possibly will contribute to stabilizing it. Of course military observers, any sort of observers, can’t deal with a few determined saboteurs who wish to infiltrate the country and place explosives in a middle of a town. No state can really protect itself against that.